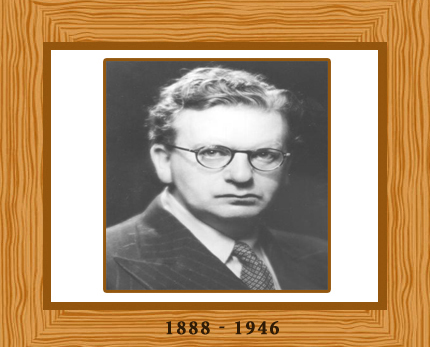 John Logie Baird was a very famous Scottish engineer and inventor of one of the first televisions. He demonstrated his working television on 26 January 1926. He also demonstrated color television in 1928. John Logie Baird was born on 14 August in 1888 in in Helensburgh, Scotland. He was the youngest of four children of the Reverend John Baird and Jessie Morrison Inglis. John was educated at Larchfield Academy in Helensburgh and then enrolled at the Glasgow and West of Scotland Technical College studying electrical engineering. His studies were disrupted due to the First World War, which he did not return to, however he was not himself conscripted due to ill health. Instead Baird served as superintendent engineer of the Clyde Valley Electrical Power Company and later moved to Trinidad and Tobago where he briefly operated a jam factory. Returning to England in 1920, Baird became interested in the transmission of moving pictures with sound. His first attempt, “the televisor” was made out of odds and ends that he could find such as cardboard, a bicycle lamp and string. He demonstrated his invention to the public shortly afterwards in a large department store in London and on 26 January 1926 he gave the world’s first demonstration of television in front of fifty scientists. In 1927, Baird transmitted a long-distance television signal (sound and images) over 438 miles (705 km) of telephone line between London and Glasgow. He formed the Baird Television Development Company (BTDC) in 1928 and that same year he sent the first television transmission across the Atlantic Ocean from London to New York. The British Broadcasting Corporation used Baird’s television technology from 1929 to 1937. Baird’s television was mechanical based rather than being electronic and this meant that the picture quality was poor with fuzziness and flickering images. As a result electronic television quickly made Baird’s mechanical technology obsolete. Baird made many contributions to the field of electronic television, demonstrating hybrid color in 1939 and “telechrome” in 1940. In 1931, Baird married Margaret Albu and they had a daughter, Diana, and a son, Malcolm. Baird died on 14 June 1946 in Bexhill-on-Sea in Sussex, aged 57.